The United States Trustee Program is a component of the U.S. Department of Justice that supervises the administration of bankruptcy cases. The United States Trustee for Region 21 serves the federal judicial districts established for Georgia, Florida, Puerto Rico, and the U.S. Virgin Islands. The regional office is located in Atlanta, GA. 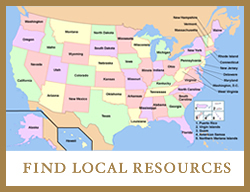 The links on this site contain information about the regional office of the United States Trustee and the field offices within Region 21. Effective September 28, 2017, the Acting United States Trustee for Region 21 has temporarily waived the credit counseling and financial management education requirements for individual bankruptcy filers in the District of Puerto Rico and the District of the Virgin Islands due to the effects of Hurricanes Irma and Maria. These waivers are made pursuant to 11 U.S.C. § 109(h)(2)(A), 727(a)(11), and 1328(g)(2). The waivers will remain in effect until further notice.